A cozy, pocket-friendly stay with all your basic needs fulfilled. Sunshine Residency offers you an agreeable stay during your trip to Chennai at a minimal price. The reception area welcomes you with nice woodwork. 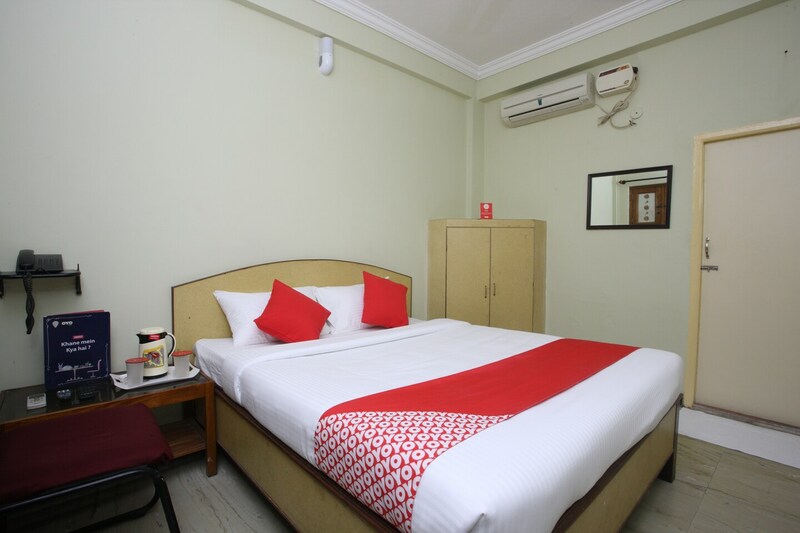 The rooms are minimalistic and comfortable with amenities available which are suitable for the travellers. They are absolutely clean and well-lit. The bathrooms are also spotless and well-equipped. The hotel also provides the travelers with other facilities like Parking facility, free Wi-Fi and CCTV cameras. There are many restaurants nearby to fill your appetite for food. If you are up for exploring the city, then you can visit many key attractions near this property like The Forum Vijaya Mall, Vadapalani Murugan Temple and Karaneeswarar Temple.